ISRM/BTEC (Level 5) Professional Diploma in Clinical Sport & Remedial Massage Therapy. Currently studying Osteopathic Techniques to become a Manipulative Therapist. 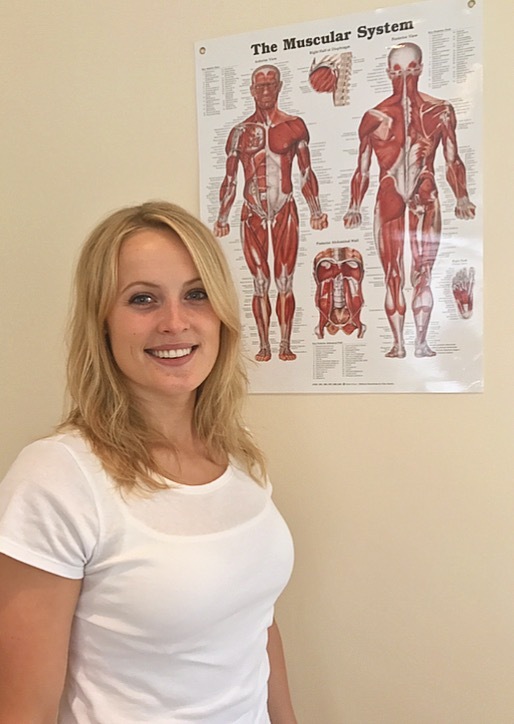 After studying at the London School of Sports Massage, I established my own business specialising in sports and remedial massage therapy. For the past 6 years I have gained experience working with sports teams, private clinic settings and I joined an Osteopathic clinic for several years. Furthermore, I am constantly looking at ways to improve my skills and extend my knowledge. I have become qualified in Medical Acupuncture this year and have had great success with the new treatment. I recently started a home study course on Nutrition and Hot Stone Massage, and am currently studying Osteopathic Techniques to become a Manipulative Therapist. My work gives me the opportunity to help people from all walks of life, providing rehabilitation programmes and instructing patients on steps they can take to improve their health. I am particularly adept at deep tissue massage, soft tissue release, muscle energy techniques and can also provide softer Swedish massage to help relieve stress and tension. My massage patients range from nine-year-old swimmers to retired ladies and gentlemen over 90 years of age who just need a little extra help. Treating this diverse group, alongside my years of experience, has allowed me to develop a comprehensive range of therapy skills. I am an excellent communicator and an empathetic listener and uphold the highest standards of discretion and professionalism at all times. First, you will have a brief assessment over the phone or via email, which should determine if sports massage is suitable for your requirements. When you arrive at the clinic, a history will be taken, and we will then discuss your current state of health and any relevant medical conditions. Sometimes a movement assessment is involved so loose fitted shorts are required. Massage is a manual therapy; I use coconut oil during the treatment. Any allergies should be disclosed prior to treatment. Other tools such as acupuncture needles or kinesiology tape may be used. More information will be provided prior to any treatment performed. You will be requested to remove appropriate items of outer clothing, shorts can be kept on. You are always welcome to bring a chaperone with you. If you are under the age of 18, a chaperone is required. Please view the How We Treat section for further information.